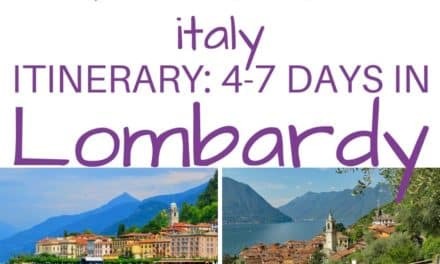 This Tuscany itinerary helps you to see the best of Tuscany…the place of rolling hills and beautiful medieval towns and villages – which often sit on top of hills and thus come with great views. Tuscany is known for its vineyards and great wines, and then there are the villas at the end of cypress-lined lanes. Tuscany, of course, is also known as the birthplace of the Renaissance and was home to geniuses like Leonardo da Vinci and Michaelangelo. 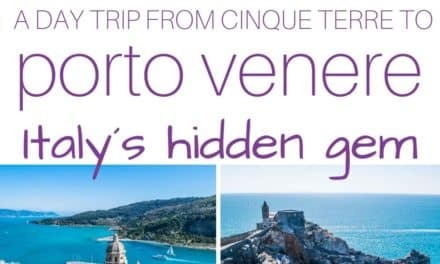 There is so much to do and see in Tuscany and after spending about 10 nights in Tuscany myself, I finally saw with my own eyes what all the fuss is about! Let me tell you, first of all, that the rolling, green hills are real! 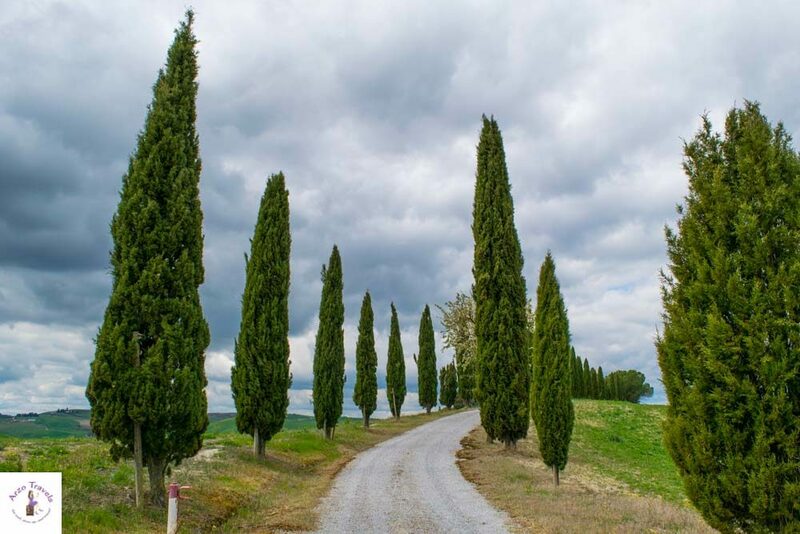 This is no marketing trick – if you visit Tuscany, be prepared to see rolling hills that are lush and seem endless. So, if you have about 5-10 days in Tuscany, you can use these travel tips for creating your own Tuscany itinerary. 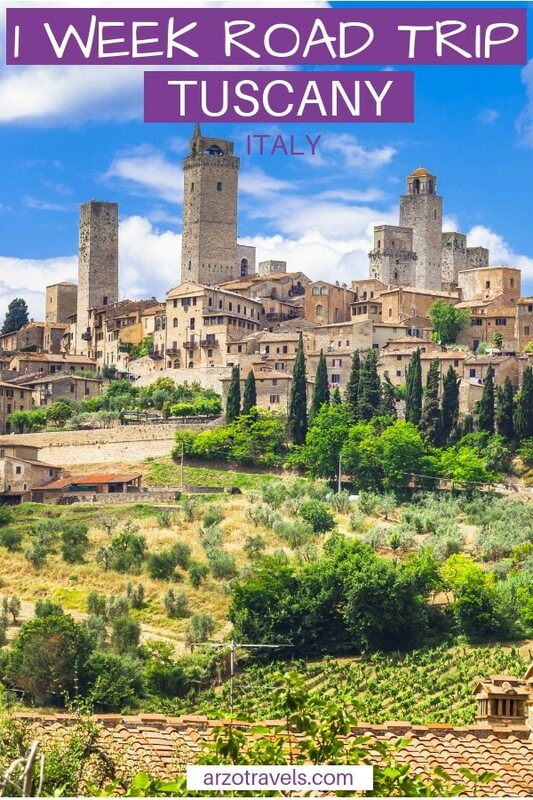 Find out what to do and see in Tuscany in 5, 6, 7, 8 or-10 days – where to go, where to stay, and what to visit. Also, this post is about a Tuscany road trip and more travel tips – while road tripping is fun and easy, there are also other ways to get around. So, here are tips on how to do tours and how to use public transportation, but also travel tips for driving in Tuscany and more things to know before visiting Tuscany. Before talking about the best places to see and best things to do in Tuscany, here are some travel tips. Many places in Tuscany are very well-connected and it is easy getting around by public transportation or car. I used public transportation whenever I headed to the main places (like Florence or Pisa) and drove for the rest of the time. Both ways have their perks. I found that driving in Tuscany was fine – most of the time. I cannot deny that I will probably never get used to the way Italians drive, but in general, it was fine. Especially when it came to driving through the vineyards in Val d’Orcia, which was so much fun – the streets might not always be perfectly paved and modern, but it should not be a big problem for an experienced driver. However, driving in town and city centers is a different story – most towns and villages (and cities) don’t allow regular cars. So, even if there are no barriers, you are not allowed to drive (just keep an eye out for this sign, which means you are only allowed to drive there with a special permit). Also, I figured out for myself that I should avoid the busy hours – it really can be crazy driving in and near main places from 7-9 am and 5-7 pm. It saved me time and stress not driving at these times. Also, streets can be extremely narrow, and that is why I seriously advise choosing a small car. Do not let the Italian drivers make you nervous – do not speed unnecessarily (there are a lot of speed cams around). In towns, along all streets: the speed limit is always 50 km/hr (so it is not miles per hour, but kilometers in Italy). Outside towns, the speed limit rises to 70 km/hr on secondary roads – sometimes up to 90 km/hr. Autostrade: the speed limit can vary from 110 to 130 km/hr. Keep an eye out for speed limit signs! There are some toll highways in Tuscany, but I only drove them when I got to Tuscany from Liguria. In general, most of the streets here are toll-free. Even some “autostrada” (freeways) are free here (they are generally not in great condition). Also, parking can be really costly and can eat into your budget over time. With some prior research, you might find free parking spots, but most of the time, I had to pay around 1-2.50€ for an hour near the old towns of Lucca and Siena. And do not get me started on the gas prices in Italy – the highest I have ever seen in Europe (up to 1.85€ for one liter of gas – and this is self-service). If you find gas for 1.45€, you have found a bargain. Oh, and be prepared for an abundance of roundabouts in Italy, and also in Tuscany. If you have not gotten used to them, check the rules again, as I find the roundabouts in Italy a bit busy and hectic at times. I am probably not the first one to openly declare my affection for public transportation in Italy – the train rides, in particular, became a nice way of getting around. It is quite affordable, reliable (yes, my trains always ran a few minutes late, but I consider this tolerable), and efficient. If I had to choose one way of getting around, it would be train travel in Italy. However, getting to smaller towns and villages without a train station is a bit trickier. So, when you have a train station – great. If there is none, then bus transport is fine, too, but not always very clear when it comes to schedules. TIP: Always, always validate your ticket. Even if you buy your ticket at the ticket counter for the next train/bus, you need to validate it at one of the little machines at the station for trains and in the bus for bus rides. I visited Tuscany at the end of March/beginning of April and it was a lovely time to visit. Temperatures were mild (around 16°- 20ºC), but I also experienced a few rainy days. The trees were blossoming and it was hilly and lush. Places were not crowded (except Florence and Pisa), and I did not have to rub shoulder with other tourists. 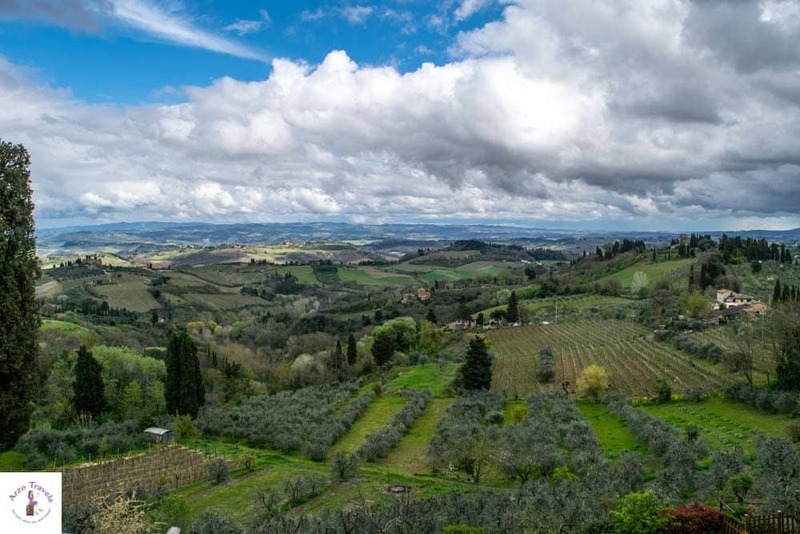 Personally, I would visit Tuscany next time at the end of April or early May as it gets a bit warmer and the scenery is supposed to be even more colorful and bright. Or I would pick fall as my travel time – at the end of September and October – when the weather is still good, the crowds are gone, and the hills and trees are still lush and colorful. 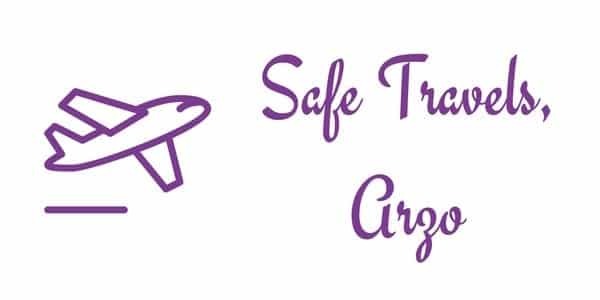 If you want to do a beach vacation or don’t plan to spend a lot of time in the cities/towns and popular villages, then summer – July and August – when it gets hot would be a good choice. Florence! This beautiful city is one of my favorites in Italy, if not in all of Europe, and it wins the heart of its visitors within minutes. If you are in Tuscany for 5 days, I suggest staying here for 1 full day. If you are in Tuscany for one week, then I recommend staying in Florence for 2 days, because there are so many places to visit and things to do, that one full day is really a minimum and two days is better (three days is better still, but I would only suggest that if you stay in Tuscany 10 days +). You can do a few things for free, but there are also a number of fantastic museums and churches that need a ticket reservation in advance (if you don’t want to spend hours in line, there is no country in the world where skip-the-line-tickets make more sense than in Italy from April to October). While Michelangelo and Leonardo da Vinci still play a crucial role in the city today, there is so much more to do and see. And even if you are not the typical art fan (believe me, I am not), Florence is different. Cross the Ponte Vecchio Bridge – a medieval bridge that is 312 meters long, houses some smaller shops, and dates back to the 14th century. PiazzadellaSignoria – this lively square is fun and busy. YouwillalsofindtherepliclicaoftheDavidStatueandmanymore. 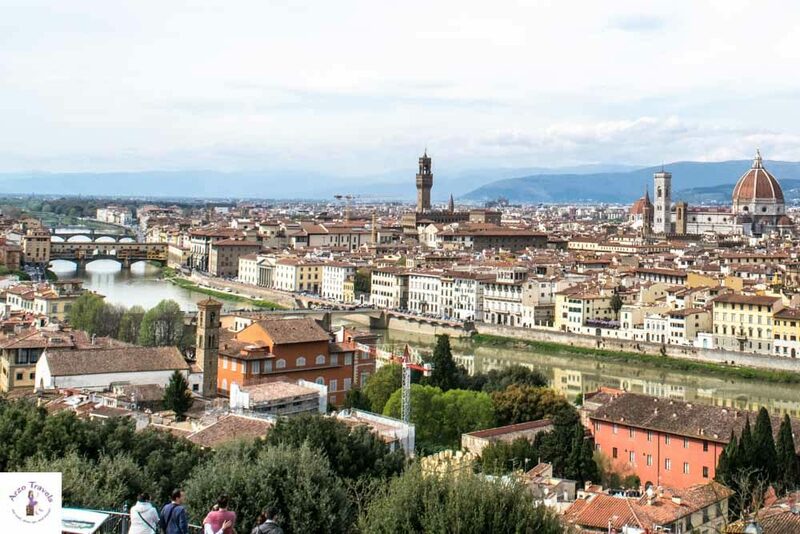 The views from Piazza Michelangelo are priceless – it takes a 10-15 minute hike up (not too steep though) and from there, you have great views and can enjoy the Florentinian skyline for free (also great for enjoying the sunset). Pitti Palace – once the home of the Medici family, it is now a Renaissance Palace that houses incredible art pieces. Plan in 3-5 hours for this place and buy tickets in advance. The Boboli Garden – located right behind the Pitti Palace, you can stroll this gigantic garden for several hours without getting bored. So, after one or two days in Florence, you are good to visit more of Tuscany´s gems. 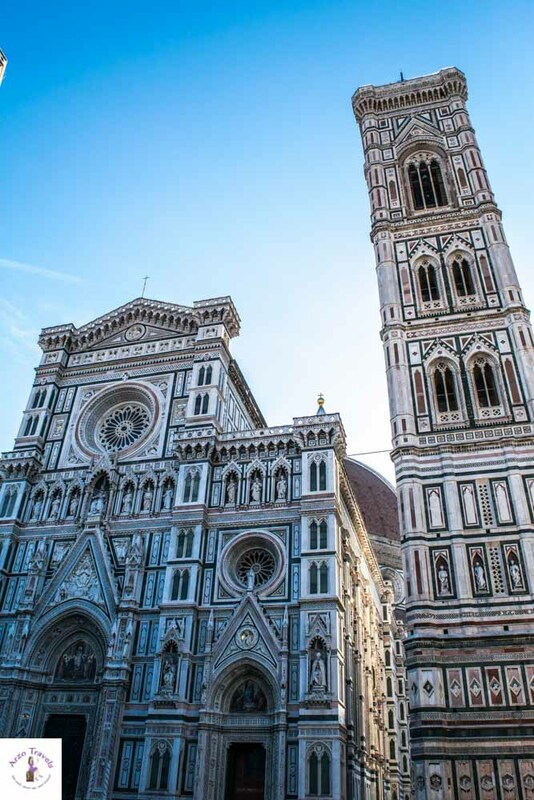 Here is a more detailed Florence guide for you! If you make Florence your base for your whole Tuscany trip, then check out the best day trips to take from there. From Florence, you can easily get via train, or car, to Lucca and Pisa. It’s up to you which one you opt for first (Lucca is closer to Florence). 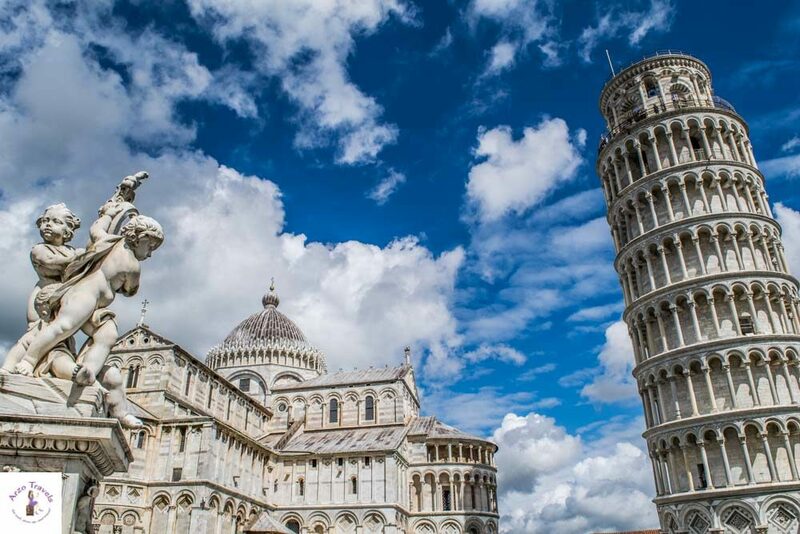 Pisa is surely mostly known for one attraction, but it is a bit more than the Leaning Tower of Pisa. However, I tried really hard and planned in a full day for Pisa, but I figured out that half a day is really enough! And like Florence, Pisa is busy. At least around the Leaning Tower; not so much in other areas. Visit the Piazza del Duomo, where you have the Leaning Tower of Pisa, a 14th-century tower that is probably the most famous tilted building in the world. But there is also the impressive Cathedral di Pisa, the baptistery, and Camposanto Monumentale. The Duomo is free to visit, but you need to get a ticket from the ticket center (which is well signed). TIP: If you want to climb the Leaning Tower of Pisa, or visit the baptistery or the Camposanto, you need to buy tickets. Keep in mind that Pisa and Florence are extremely busy, and if you don’t buy skip-the-lines tickets in advance, you might have to stand in line forever or not even get a ticket at all. On your way to the Santa Maria della Spina, you should visit the Palazzo della Carovana at Knights´ Square. 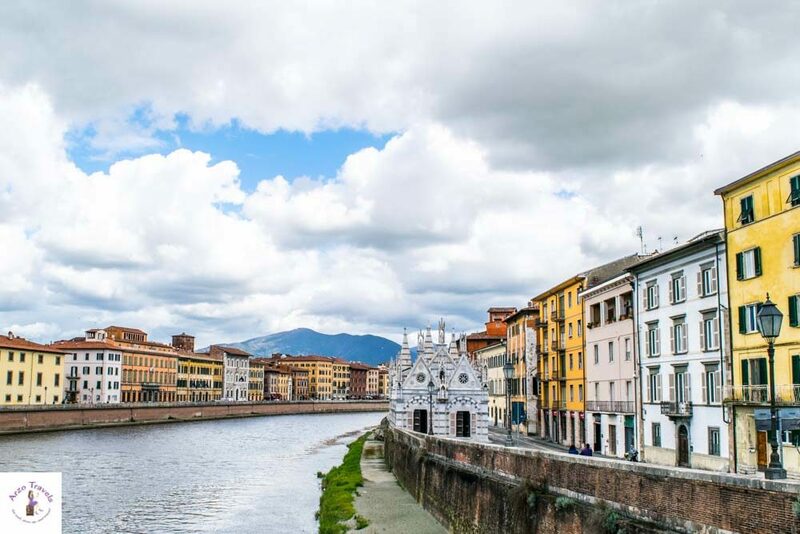 Check out my Pisa itinerary to find out more. Then it is time to head to Lucca. Lucca is a popular, though not overly crowded, town between Florence and Pisa. You can walk the huge Renaissance walls that offer nice views and are a good place to rest. Seriously, I have never seen such big city walls. From there, you can make your way to the historical city center and visit other main attractions. There is the Duomo di San Martino (entry about 3€, which was nice, but you can skip it if you’re on a budget) and you can climb the tower there (the views are not as great as from the other tower, but if you are in the mood to climb towers and don’t mind paying another 3€, this is a good place to enjoy the views). 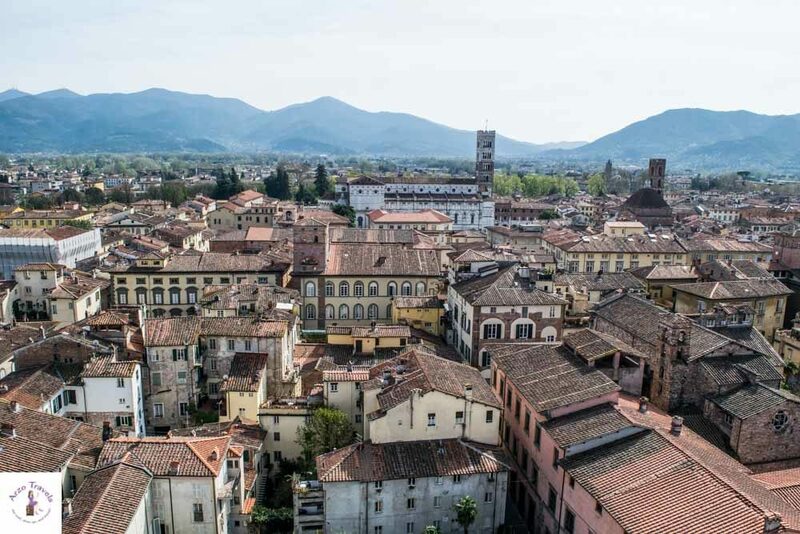 While it seems like there is much more to see in Lucca than in Pisa, Lucca is very walkable, and despite the number of attractions, you can see all these places in half a day. Driving to Volterra and then to San Gimignano was one of the best driving experiences – great views, nice streets. However, since these are mountain streets, keep in mind that they are narrow and it might not be everyone´s cup of tea. I visited Volterra on a rainy day, and despite the weather, it still charmed me. 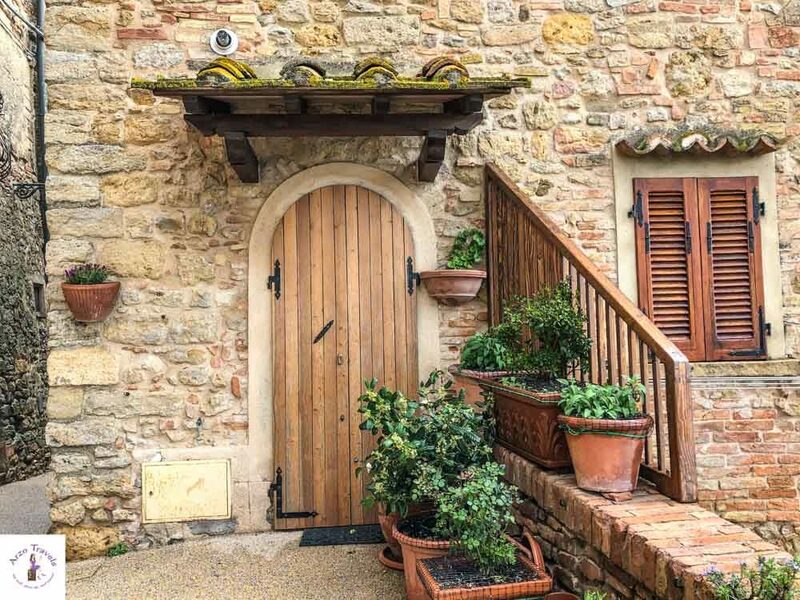 Volterra is a small but cute hilltop village with great views, cute streets, and even cuter doors and houses. 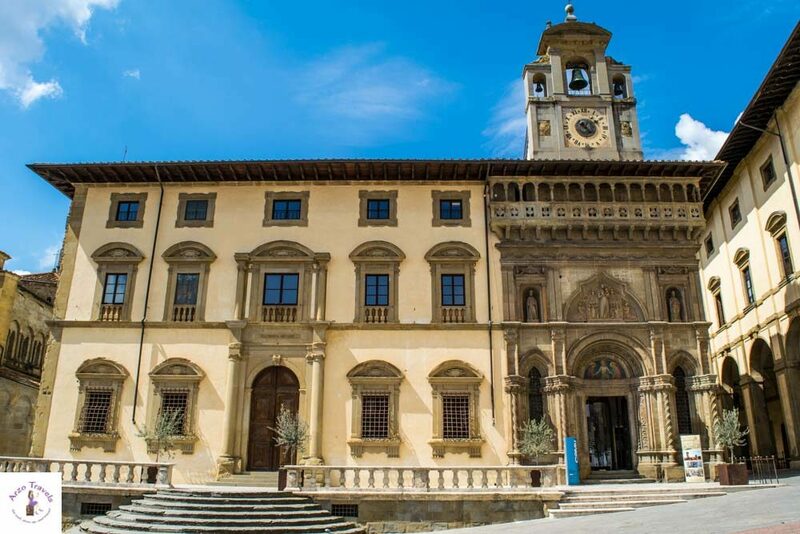 Piazza dei Priori – The piazza is located in the center of the town and you will also find the Palazzo dei Priori (city hall), the Council Chamber, and the bell tower (both open to the public) there. 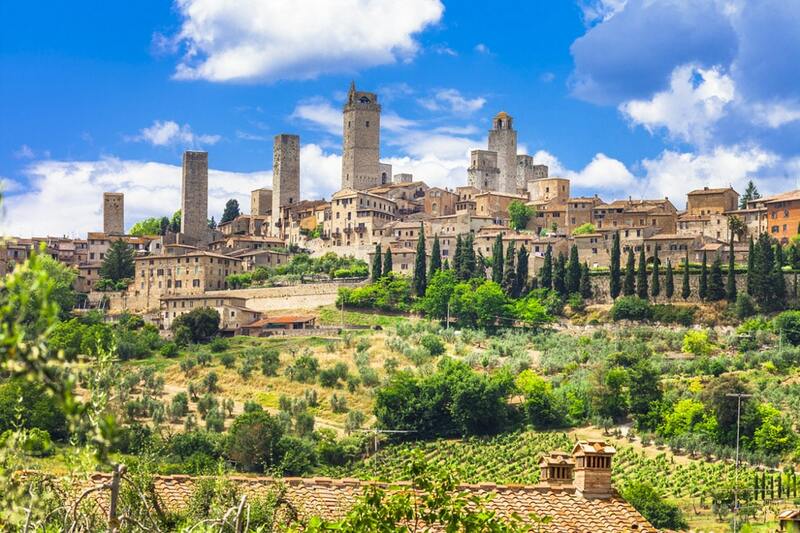 From there, head to San Gimignano – surely anything but a hidden gem. This small-walled medieval town near Siena and Volterra is one of the most popular tourist hotspots in Tuscany. It gets busy, especially in the summer – however, it holds a few great attractions that make it worth a visit. Climb Torre Grossa – the tower stands at 54 meters and dates back to the 13th century. The admission fee is about 5€, but the view is probably well worth it (I visited on a rainy day, so I skipped it). Piazza del Duomo – the heart of San Gimignano also houses the cathedral, the Palazzo del Podesta, the Palazzo del Popola, and more. South of Siena is one of the most beautiful sceneries of Tuscany – the Tuscan countryside at its best. I enjoyed driving here the most – though the streets are winding, it is open and you have great views wherever you look. The lush, green hills and yellow fields in between (and in the summer, you can expect red poppies and fields of sunflowers) make it one of the most beautiful places in Tuscany. The Val D’Orcia is another region in Tuscany famous for its stunning landscapes and its red wines. 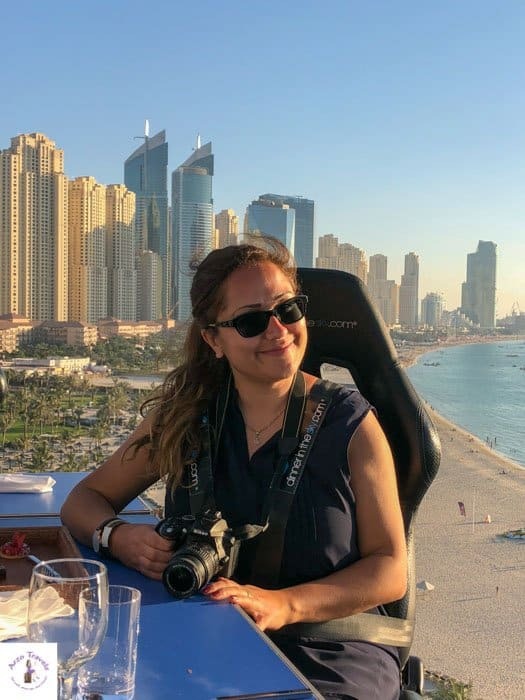 While I, personally, don’t drink wine and thus don’t care about it, it is still a great place for wine tasting – and I was in love with the views there. One of my favorite towns was the hilltop village of Montepulciano. Spend a few hours there, and if you have time left (I wish that I had), then visit Montalcino or Pienze as well. Siena should be on your itinerary whether you have 3 days, 5 days, or 7 days in Tuscany. 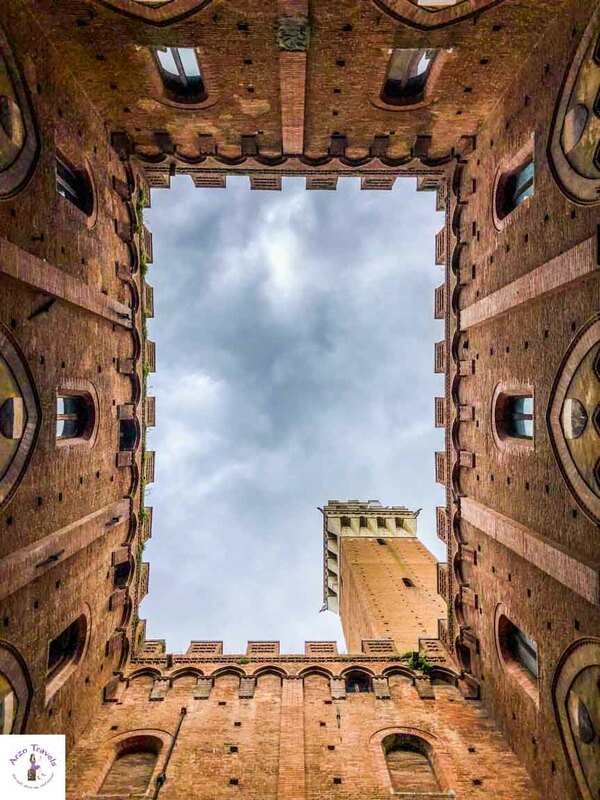 Siena sits over three hills and is a perfectly-preserved medieval town, and a shrine to Gothic architecture. There is a beautifully maintained historical center that’s been declared a UNESCO World Heritage site. It is one of the bigger places in Tuscany and you can start your day at the central piazza. The huge Piazza del Campo is the heart of the city and where most of its important events have been held ever since. Twice a year, July 2 and August 16, there is a famous horse race that takes place. But most of the time, it is a nice and lively square where you can enjoy the Dolce Vita. 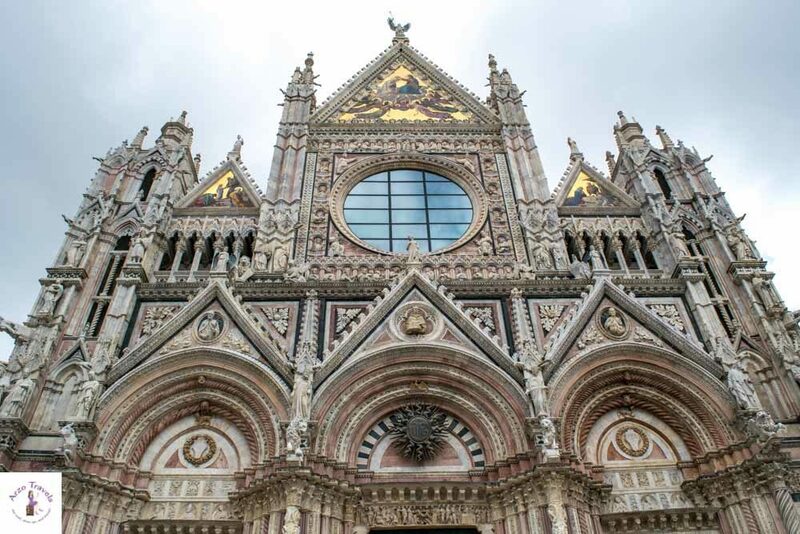 Visit the impressive Duomo die Siena, a Romanesque Gothic cathedral with mosaics – the exterior looks a bit pinkish. One of my most favorite towns in Tuscany was Arezzo. I was a bit exhausted and forgot what the town was about. Due to bad research – or better yet, due to a lack of research – I expected another hilltop village and was surprised that it isn’t a typical medieval town in Tuscany. The town square is indeed uphill, but not all of the town, and as I was spoiled with great weather, I fell in love almost immediately. 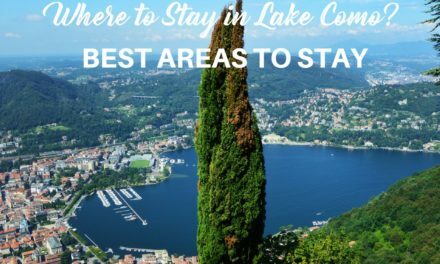 If you have more time, you can add a visit to Cortona, which is quite close by (it is one of the few places I wish I had made a priority) and visit the Villa Bramasole, the Diocesan Museum, or the Santa Margherita Cortona. Since I suggest spending 2 days in Florence if you have at least 5 nights, you have an itinerary for 7 days above. Of course, you can see what works for you and change days as you like, but logistically, it makes sense to combine two or three places each day. If you have a few more days, here is what you can do in addition. 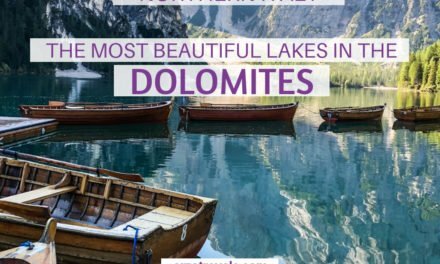 These two places are quite unknown and very underrated. 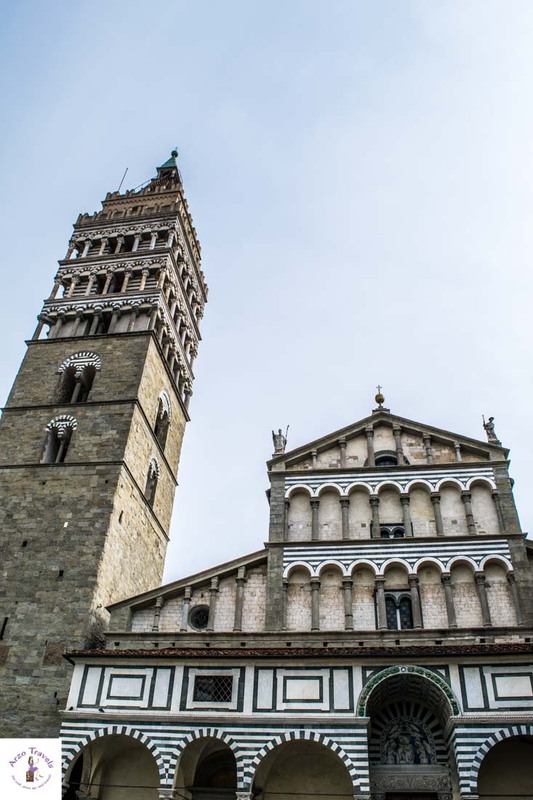 Pistoia, in particular, is a very pretty town with an authentic medieval touch. 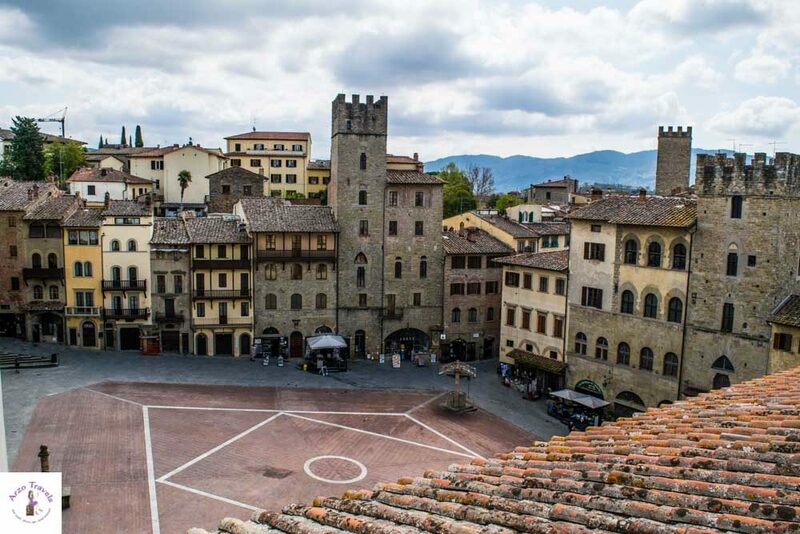 Pistoia is divided by a river; on the left side of the river, you will find the Cathedral, and on the right side, you will see the main square (Piazza Mazzini) as the heart of the town and the City Hall. 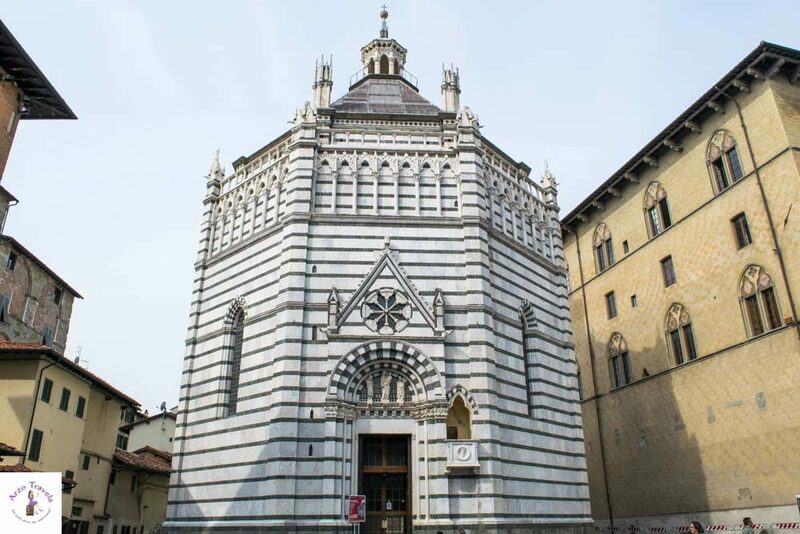 Places to visit and things to do: The Cathedral of San Zeno, the Spedale del Ceppo, the church of Santándrea, the Piazza delle Sala, and the Basilica of our Lady of Humility. It was one of the least busy places I have come across and it is the perfect place to visit if you want to see beautiful architecture with interesting buildings, but want to escape the crowds. I would plan in half a day, eat lunch at the square, and after a nice lunch, head to nearby Pescia. Pescia, too, was a little beauty – strolling the town (and river) will take less time than visiting Pistoia though. I forgot about this! Can you believe it?! I forgot I wanted to visit the Saturnia Thermal Baths and remembered when I was in the east of Tuscany – and then I could not be bothered to drive all the way back! 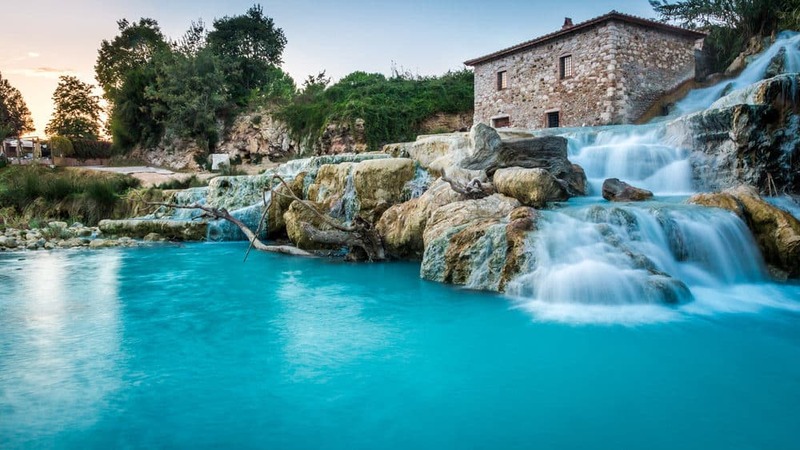 Anyhow, the Saturnia Thermal Bath is something that is not typical for many Tuscany road trip itineraries, but personally, I think that the thermal waters at Saturnia are a great way to relax and see the other side of Tuscany. You can also visit the town of Saturnia after hopping in the free thermal springs! Sounds like a day perfectly spent in Tuscany! I know, I love Florence – and so might you! If you have about 10 days in Tuscany, I would personally spend a third day there. While I am not really into museums normally, I think the museums in Florence are well worth a third day! While I did not do my trip to this itinerary, this is how I would do it now that I know better. Whether I have 7 days in Tuscany or 10 – I would create my days as listed above. 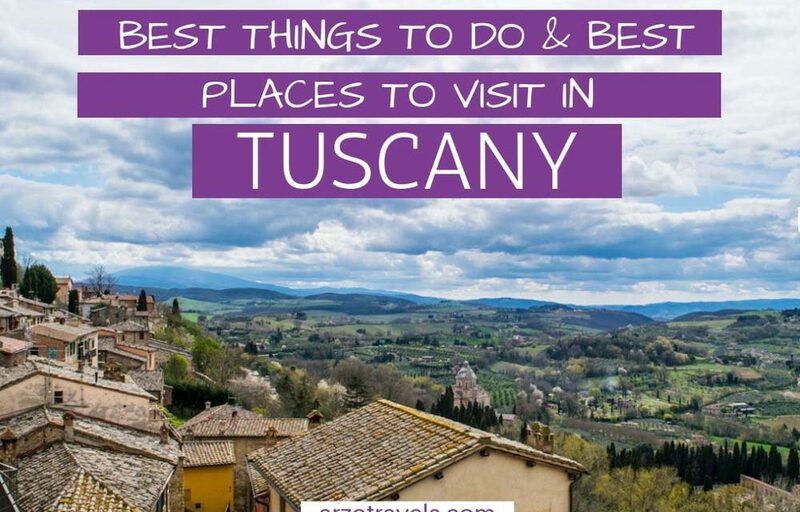 However, even if you change the route or some places, this post hopefully has helped you create your perfect Tuscany itinerary.